You have the Eclipse Marketplace Client (mpc). 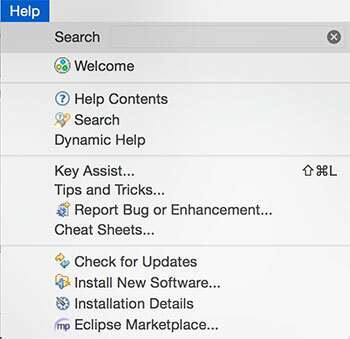 This will appear in the Help menu as 'Eclipse Marketplace...', and is included with all of the packages available from the Eclipse download page (except Classic Package). 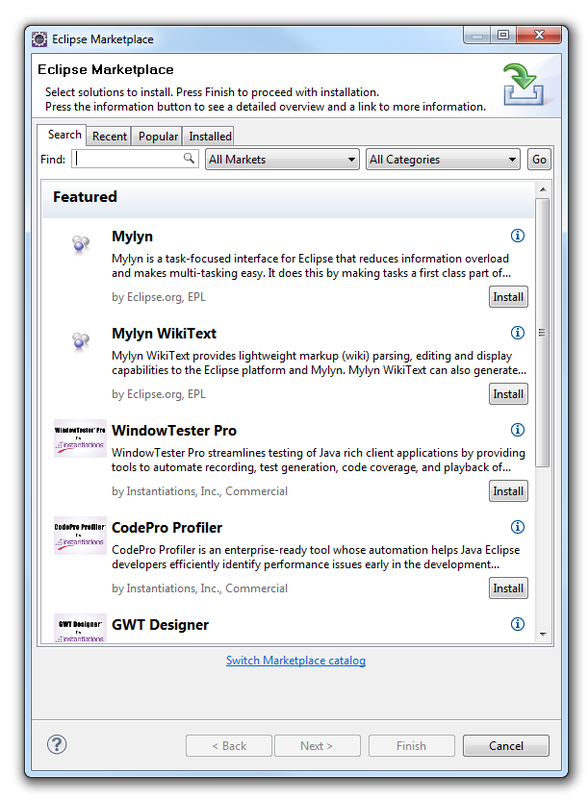 Eclipse Marketplace Client (MPC) is a rich client interface for browsing and installing the Eclipse based solutions listed on the Eclipse Marketplace portal. It is a new feature that allows Eclipse users to discover and install Eclipse solutions directly into their Eclipse installation. MPC is included in all of the packages available from the Eclipse download page. You can start MPC by launching Eclipse and accessing it from the Help menu. button to your running Eclipse workspace.